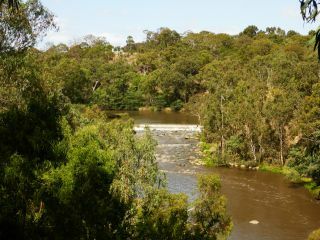 Environmental watering in the Yarra River in 2015–16 focused on protecting the health of the system under dry conditions. Environmental watering maintained habitat for fish and waterbugs and allowed movement between habitats. It also concentrated on minimising the risks associated with poor water quality in the deep pools in the lower Yarra River. "A combination of warm weather and low flows in the river can cause dissolved oxygen levels to fall, which can be harmful to fish and other aquatic species," explains Melbourne Water's Helen Clarke. "Water quality monitoring in the Dights Falls weir pools showed that environmental watering improved the levels of dissolved oxygen and reduced the temperature of the water." Research projects are showing evidence of juvenile Australian grayling migrating into the river, along with an increase in the number of juvenile Macquarie perch. 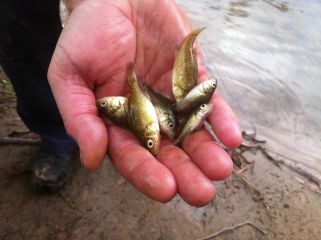 There is evidence that spawning was aided by environmental watering. In 2014–15, monitoring collected higher numbers of Australian grayling eggs than in previous surveys, improving our understanding of spawning flows required for the river. "These research projects help us improve our understanding of how to manage environmental water to achieve our ecological objectives," Helen said. The VEWH and Melbourne Water began a cultural values mapping project in 2015–16, in collaboration with the Wurundjeri Tribe Land Compensation and Cultural Heritage Council. The project will improve the responsiveness of environmental water managers to Traditional Owners' aspirations in the future. In 2015–16, environmental watering in the Yarra River also improved recreational opportunities along the river by improving water quality during periods of very low flows. A Melbourne icon, the river is the focus for many key community events including the Moomba festival, rowing regattas, the Melbourne Festival and the Melbourne International Dragon Boat Festival. The banks of the river have barbecue and picnic facilities, fishing platforms and jetties. There are also trails and paths for cyclists, walkers and joggers.